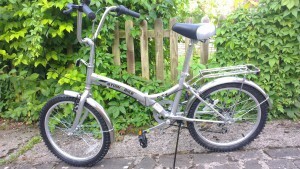 Stowabike 20″ City Bike – One of our tested folding bikes. The second title of our post could also be, frugal folding bikes 2015, but not cheap folding bikes 2015. In this guide, we want to present 10 folding bikes, were you get the best value for your hardly earned money. The testing method, which we are using consists follows the rule that we want to present bikes, which show the best price value for money. Affordable means to us, that the bike should not be just cheap, but also not too expensive and you just pay for the brand. Hence, to find this fine line, we talked to a bike shop owner, who recommended us 10 folding bikes, which are presented in the comparison table on the next page. Price to actual delivered value. 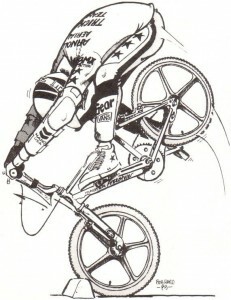 Overall bicycle features and accessorizes. This post is for people, who are folding bike enthusiasts, but want to save money, when buying a folding bike. So, if you are for example a student, family woman/man or business woman/man, who is looking for affordable folding bikes, this post is right for you. However, if you are just looking for the cheapest folding bikes on the market, we will publish a post as soon as possible to show you, what are the cheapest folding bikes on the market. This post is about affordable and will focus on an actual comparison of price and delivered value. On the next page you can find a detailed comparison, GO CHECK IT OUT!